KISSIMMEE, Fla., June 26, 9:00 pm — At Wednesday’s meeting of the Kissimmee Utility Authority (KUA) Board of Directors, the Board adopted a $139.8 million budget for Fiscal Year 2003. The 5-0 vote came after a public hearing on the budget. Highlights of the new budget include capital expenditures of $16.3 million. The majority of the capital budget is attributable to planned outage costs for Cane Island Units 2 & 3 and reliability enhancements to KUA’s transmission and distribution system. Customer growth in FY 2003 is expected to rise 3.3% while energy sales are forecasted to increase by 6%. 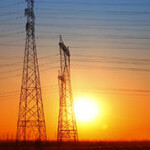 The utility is anticipating a new system peak of 284.6 megawatts (MW). The current system peak is 275.3 MW, set on January 9 of this year. The budget is a 14% decrease from FY 2002, due primarily to lower projected fuel costs. The budget includes a $7.4 million transfer to the City of Kissimmee for electric sales and a $53,000 transfer for internet sales by the utility’s internet subsidiary, KUA.net. The budget includes an increase of 5 new positions, including the hiring of an in-house attorney. KUA currently maintains a legal services contract with Brinson Smith Smith & Carpenter, PA of Kissimmee which will continue through September 2003 to ensure a smooth transition. KUA’s total employee base will increase from 281.5 in FY 2002 to 286 with an annual payroll of $15 million. The budget also reflects a market level adjustment of 3% for all employees. KUA is Florida’s 6th largest community-owned utility serving 58,000 electric, water and Internet customers in three Central Florida counties.